But aren't they the same? asks Ankit, an MBA aspirant. Like Ankit, many management aspirants fail to gauge the difference between the two seemingly same programmes, MBA and PGDM. The differences are not as vast, but neither as subtle as many imagine. MBA and PGDM represent two different outlooks towards post-graduation in business management. Before delving into the nitty-gritty’s of both the subjects, it is important to understand why these business majors are classed differently in India. 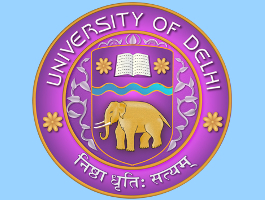 The UGC Act enacted in 1956 states clearly that autonomous bodies cannot issue degrees to students. This essentially means only institutes affiliated to a university can grant a degree programme. These degree programmes cover all fields such as B.Tech, BBA, MBA and so on. Institutions such as IIMs and XLRI are not affiliated with any university and remain autonomous institutions. Due to this, they do not offer MBA programmes and instead offer PGDM courses. 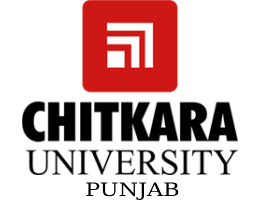 Since PGDM courses are essentially diplomas, they do not require affiliation to any particular set of universities. However, colleges offering PGDM courses have to be approved by AICTE. As the names are suggesting themselves, PGDM isn’t a degree course. Due to this distinction, many students are often wary of choosing PGDM over MBA due to the ‘diploma’ tag. As mentioned before, only institutions affiliated to a university can offer MBA programmes. Due to the usual tendencies of students to prefer degree programmes over diplomas, a lot of confusion arises during MBA Admissions. While MBA and PGDM courses should not differ vastly, the case is otherwise. This is because universities generally take a rigid stance on change of curriculum. Management is a very dynamic sector with a large number of changes happening every day. To be stuck in the same curriculum for even a year can set the students back a long way. However, due to the rigid stance of most universities on matters of MBA syllabus change, the students suffer. On the other hand, PGDM courses have no such problem. Because of their autonomous nature, institutes such as IIM and XLRI are very sensitive to the demands of the industry. They chop and change their curriculum to make sure the students are up to date with the demands of the industry. All in all, PGDM courses are much more adept at being industry ready than MBA courses. Course orientation refers to the primary goal of a course. The term is often confused with course curriculum and methodology. MBA and PGDM being different courses fundamentally have diverging orientations. PGDM is a highly specialized course imparting knowledge very specific and to the point. The orientation of PGDM is driven primarily by the demands of the industry. This level of dynamism of the PGDM course makes it one of the most sought-after programmes in the country. MBA, on the other hand, suffer due to the laggardness in curriculum revitalization. This forces MBA students to focus more on the old curriculum for exam purposes. The focus of MBA is more on imparting the theoretical aspects of business management and administration. MBA students are generally well aware of the hard rules of management and are well equipped to understand theoretical aspects. Faculties teaching MBA students are seasoned lecturers and professors well versed with every aspect of management under the sun. This draws a stark contrast to the focus of PGDM courses. These courses aim at developing the soft skills to succeed in a business environment. Due to its industry-intensive nature, PGDM focuses primarily on building necessary skills in students rather than concentrating on the theoretical aspects of management. Faculties teaching PGDM students are usually management gurus and ex-industry stalwarts who know exactly how things work in an actual business. 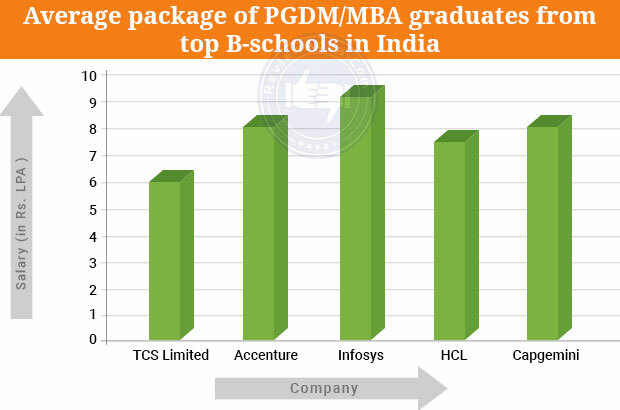 From the points mentioned above, it is fairly clear that PGDM seems a much better option compared to MBA. 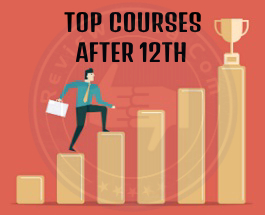 In the current jobs market, it is much more advisable doing industry driven courses rather than getting stuck in theoretical courses such as MBA. Students more inclined to pursuing Ph.D. after post-graduation should be inclined towards MBA, but the same cannot be said for PGDM graduates. Any course without AICTE approval in India is deemed practically worthless in the market. While top colleges like IIMs and XLRI need no introduction, the same can’t be said about other colleges offering PGDM courses. It is vital that a college offering PGDM has AICTE approval. One of the best aspects of doing a PGDM course is learning the inner-workings of business administration. These details can only be learned if the college in question has the right teaching methodology. If the faculty members have optimum industry level experience, taking up PGDM course is worth it. This is because learning from industry experts is an essential part of a PGDM course. Rather than focusing on theoretical management systems, PGDM graduates are taught the essential requirements of working in a high octane business environment. As is the case with every profession, the perception of the college a student chooses plays a pivotal role. An MBA from a well-renowned college is always considered better than a PGDM from a lesser-known college, irrespective of factors such as teaching methodology or faculty. In the current jobs market, there is an undeniable clamor for students graduating from top colleges, especially amongst management graduates. Companies expect employees coming with post-graduate degrees to be ready for the rigors of the industry. For this very reason, companies prefer candidates from top companies rather than scraping the barrel for management talent. Why should candidates prefer PGDM over MBA courses? The question is often read and heard on online forums and admission counseling seminars. With so many universities in the country, some with a great reputation, offering MBA programmes, what is so special about PGDM? The first-hand perception of any management aspirant of PGDM is muddied by the fact that the course is essentially a diploma. The prospect of MBA preparation day and night for six months only to get admission to a diploma course is bound to put any student off. On the other hand, the global appeal of an MBA degree is often too enticing for aspirants compared to a PGDM course. This is where we need to make a distinction between hype and facts. Though PGDM may not be a degree programme, there is no doubt in the jobs market over their quality and industry readiness. As mentioned above, the real straw of difference between these two courses stems from the students. Compared to MBA, PGDM is a much more industry oriented course. The reasons for this discrepancy are many. Because PGDM doesn’t require any university affiliation or control, its curriculum can be changed dynamically every semester due to no interference from a higher authority. Rather than learning theoretical aspects of management, PGDM students are taught the inner-working of the business world and what the real expectations from a management professional are. MBA students, on the other hand, lack the bare-metal details of how things work in the industry. Though they are well versed with a number of management techniques, they often lack the know-how to apply this knowledge to difficult situations. This is where most PGDM students are well equipped to display their talents. In conclusion, PGDM is a diploma course but provides a top-draw understanding of the business world nonetheless. On the other side, MBA is a course missing nothing on the topic of management, yet missing everything about the essence of management. 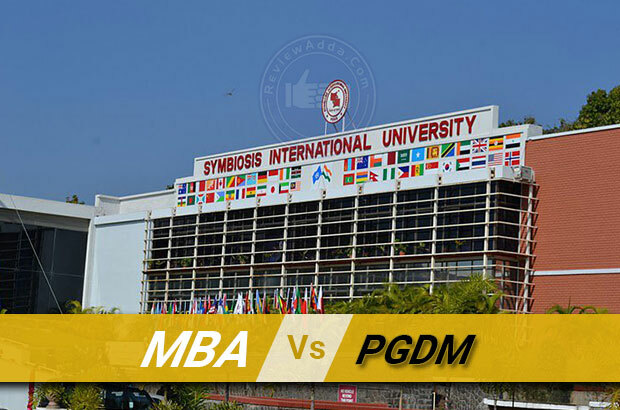 Difference between PGDM and MBA has been illustrated in tabular form below. It is a Postgraduate management diploma course, provided by an autonomous institute that is not affiliated with any university. PGDM holders are not eligible for any PhD programme in the country. They can study FPM (Fellow program in Management) offered by IIMs that is equivalent to Ph.D. The answer to MBA vs PGDM isn’t a direct one, but student preference should always be PGDM if placement is what they are after. While the differences between PGDM and MBA are many, they do seem to attract the same mass of recruiters. Another course offered by many B-schools in India is the Post Graduate Programme in Management (PGPM). 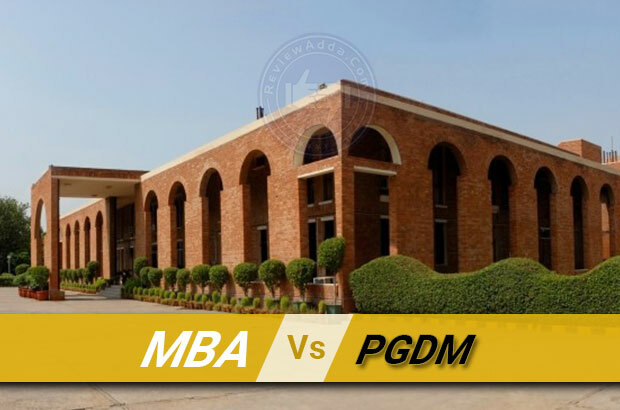 Differences between PGDM and PGPM are many. Some of them are discussed below. PGPM is not a degree or diploma course approved by the UGC or AICTE respectively. PGPM is considered a certification programme in management. Designed especially for marketing professionals with some years of experience in the business world, PGPM is a one-year long crash course in the higher working of management. Often considered a concocted version of PGDM, PGPM is an independent programme having its own uses. Many candidates pursue PGPM only to learn and not expect a degree or diploma in return. Top B-schools in India provide PGPM programme to students besides the IIMs. The curriculum for PGPM is even more flexible than PGDM, as it has practically no oversight. Institutions do not need AICTE approval to offer PGPM programmes. This way, the curriculum for PGPM is even more industry-centric and business-driven than PGDM. As mentioned before, PGPM is usually considered by candidates with a few years of work experience under their belt. SP Jain allows candidates with at least five years of experience in management to pursue PGPM. It is the same with MDI and IIMs as well while Great Lakes Chennai allows professional with two years of work experience to apply for PGPM. Like PGDM, PGPM follows a similar vein in terms of methodology and focus. The lack of any oversight from a higher authority acts as a boon for the course in general. This allows the institute the mold the course in the best possible way for the students. In other words, PGPM acts as a finishing school for many professionals by giving them a new perspective and approach to management. In lieu with placement and salary, PGPM and PGDM graduates are equally rewarded if the graduating college is reputed. For instance, the average package for PGPM pass outs from MDI Gurgaon was Rs. 18.95 LPA, on par with PGDM holders. If the college is reputed, PGPM is an extremely good option. The only drawback is that students cannot apply for Ph.D. or FPM after completing PGPM programme as it is essentially only a certification course. Are MBA and PGDM the only viable options for commerce students after graduation? While courses such as CA and CS have their own popularity, there are relatively very few courses which match the glamour associated with MBA. What is the future for courses such as M.Com or M.Eco? The problem with the latter courses is their relative disparity from the demands of today’s industry. The essential demand from any student graduating with a commerce background is to ingratiate seamlessly into a well-oiled management machine. Leaving aside fields such as accounting, literally every other field in commerce requires employees to be proficient in management. Banking, finance, trading, supply chain, HR and even IT requires knowledge of certain management fundamentals. The problem with course such as M.Com and M.Eco is their propensity to stick only to the subject matter. Two or three decades ago, M.Com was one of the most elite courses in the country. The requirements of today’s world are simply more specific and monetary-based. While M.Com and M.Eco graduates are well versed with practically every aspect of their field, they do not have enough specialized talents in the sphere of administration and management. Consider the IIMs, the pinnacle of Indian education in the field of management. 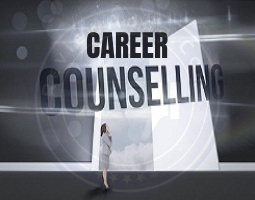 They were established to inculcate the management skills which were required by the industry at that time. For the purpose of being sensitive to industry demands, they were left autonomous. This simple act has been the very reason IIMs are counted amongst the world’s best B-schools. 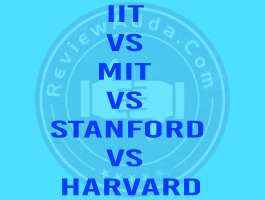 At the end of the day, colleges and universities are judged by the impact they had on the industry, and the IIMs simply crush other government colleges offering M.Com or M.Eco courses. This may seem harsh on the latter courses, but the industry reflects this opinion every year. This does not mean these courses cannot be revived. If the colleges are allowed to dictate their curriculum free from the clutches of higher authorities such as universities and government bodies, they can respond to the changing dynamics of the industry. Most commerce students today are looking at two options: MBA after graduation or professional courses such as CA, CS or CMA. The reason why M.Com and M.Eco don’t get a shout is down to their discord with the happenings of the financial world. In conclusion, if these courses are not allowed to be unshackled from the strains of universities and government bodies, their demand will hit rock bottom in the near future.